Tragedy befalls a happy family, and all joy seems stripped from their lives. As they seek answers during this troubling time, the show reveals layer after layer of human depravity, and illustrates how everyday people slowly but surely destroy each other. While one family experiences the depth of grief, those around them seem to want nothing more than to forget and move on. Underneath the full moon, pieces of paper float around middle school student PARK SUN-HO (Nam Da-reum) as he falls through the air. While Sun-ho’s mom, KANG IN-HA (Chu Ja-hyun), worriedly calls him to no avail, his dad, PARK MOO-JIN (Park Hee-soon), is distracted by the moon and doesn’t see the accident up ahead. In-ha spots it first and yells at Moo-jin, who slams the breaks. A sickening thud fills the air as Sun-ho hits the ground, and when the final piece of paper falls, his pinky moves ever so slightly. With the moon reflected in a pool of blood, the camera pans down Sun-ho and reveals his missing shoes, though he was wearing them before. His sneakers are placed neatly on the edge of the school’s building where a faint shadow leaves through the rooftop door. Still no word from Sun-ho, In-ha calls the mothers of his friends, Young-chul and Joon-suk, to ask if they left cram school with her son. Both mothers relay the message that their sons weren’t with Sun-ho, but Joon-suk’s mother sounds slightly evasive towards In-ha. An unknown number calls In-ha, and soon, both parents arrive at the hospital where the doctors wheel Sun-ho away for surgery. In-ha cries after her son, and narrates the banality of their morning which left no signs of the tragic event soon to transpire. The morning of the incident, In-ha nagged at her sister, KANG JOON-HA (Lee Chung-ah) about the tasks needed to be done around their bakery. Despite her pestering, In-ha threw a quick finger-heart towards Joon-ha, who adorably accepted it. In-ha’s family of four, which includes daughter SOO-HO (Kim Hwan-hee), happily ate breakfast around the table and made plans to watch the total lunar eclipse later that night. Past and present scenes oscillate as In-ha remembers Sun-ho leaving for school that morning with a smile, but now she desperately reaches out to hold his bloodied hand. Joon-ha runs to In-ha’s house, so racked with grief that she’s unable to utter a single word to Young-chul’s mother who finds her sobbing, but in the presence of Soo-ho, she’s the dependable aunt. Joon-ha reassures Soo-ho that Sun-ho will be fine, and unable to break from her aunt’s grasp, Soo-ho sobs into her shoulder. Sun-ho’s homeroom teacher Lee Jin-woo arrives at the hospital, as does the detective in charge of the case. Meanwhile, Young-chul paces nervously in his room and grabs a pack of cigarettes from his desk. In comparison, Joon-suk lays numbly on his bed, ignoring the constant stream of notifications from his phone. Detective Park asks Moo-jin if Sun-ho could have committed suicide, but both parents deny the possibility. Detective Park looks unconvinced, though, especially since no one else was found around the area and Sun-ho’s shoes were on the roof. Unfortunately, the security cameras weren’t working at the time, which still leaves the case open. As Sun-ho’s surgery continues, In-ha sobs, and Moo-jin wordlessly hugs her. She pulls away from him and falls to the ground, praying for Sun-ho to be saved. The scene of Sun-ho’s surgery fades to the city sky, and the red moon from the eclipse resembles the blood trickling into Sun-ho. Young-chul’s mother notices her son’s empty room, and the barrage of notifications from his phone catches her attention. She watches a video stored inside and looks horrified by what she’s seen. Young-chul finds her in his room, phone in hand, and she asks him if they bullied Sun-ho. He weakly claims their actions as a joke, and his self-absolving response stuns her. Joon-ha and Soo-ho arrive at the hospital just in time to learn that the surgery was a success. However, the doctor notifies the family of possible brain damage incurred during the operation, which could leave Sun-ho in a coma or brain dead. Sitting on a bench, Joon-ha asks Soo-ho if she really won’t visit her brother, but Soo-ho adamantly says that she’ll see him when he wakes up. Despite Joon-ha’s pleas, Soo-ho simply repeats herself, as if refusing to entertain the thought of another outcome. …and maybe it was for the best, since the sight of Sun-ho hooked up to a machine leaves In-ha reeling in shock. She and Moo-jin cautiously make their way to his bedside and openly weep for their son. At the crack of dawn, Sun-ho’s family drives back home in silence, a thick air of grief hanging around them. Joon-suk’s mother, SEO EUN-JOO (Jo Yeo-jung), absentmindedly slices a tomato, and then cuts herself when the doorbell startles her. It’s Joon-suk’s father, OH JIN-PYO (Oh Man-seok), returning earlier than promised, and neither mother nor son look too pleased by his sudden presence. Over the phone, Jin-pyo orders the school principal to resolve the recent suicide incident quickly and quietly, cynically noting how parents won’t care as long as their kids aren’t affected. He says how fortunate it is that Sun-ho didn’t die–not because he cares about a child’s life but because a death on school property would have caused a media frenzy. In the dining area, Joon-suk asks his mother about Sun-ho, but she saves the conversation for later. Having finished his call, Jin-pyo joins them and learns that Joon-suk was close to Sun-ho. He tells his son that a detective will come by to chat with him at school along with a few other students. He warns Joon-suk against needlessly divulging information, and if he ever feels like the detective is interrogating him, he should inform Jin-pyo immediately. Once Joon-suk is dismissed from the table, Eun-joo asks about Sun-ho’s condition. Jin-pyo wonders why she’s asking him when she gets information faster than he does. He points out the fact that In-ha went to the same high school as her, but Eun-joo mentions how In-ha is probably out of her right mind and won’t be able to call. In-ha sits on Sun-ho’ bed, holding back her tears, when she hears him calling out to her. She turns her head, and flashing back to that day, Sun-ho stopped by the bakery before cram school. He offered to skip class and help her at the store, but she instructed him to go study. Though In-ha wondered if anything was wrong, Sun-ho assured her that he was fine. She assumed he was just stressed about his dropped grades and told him that grades go up and down all the time. Moo-jin joins In-ha in Sun-ho’s room, and she turns to her husband to confess about forcing Sun-ho to go to cram school when he didn’t want to. She blames herself for the incident, but Moo-jin holds her in his arms and tells her that Sun-ho will wake up because he’s strong. From the doorway, Soo-ho watches with misty eyes. The vice-principal scolds Teacher Lee for jeopardizing the school’s reputation of being violence-free with this scandalous occurrence. He orders Teacher Lee to watch over the kids to stop rumors from spreading, clearly intent on squashing this case as soon as possible rather than seeking out the truth. In a remote location at school, Young-chul and two other students, Ki-chan and Sung-jae, discuss the repercussions of Sun-ho’s attempted suicide. Ki-chan can’t believe Sun-ho would commit suicide over a little prank among friends and blames Joon-suk for being the root cause of “avengers,” the likely reason behind Sun-ho’s suicide. Even if that’s true, Sung-jae tells them that Joon-suk wasn’t filmed, and since his father is the director of the school, he has nothing to worry about. They, on the other hand, are out of luck since Sun-ho also has a copy of the incriminating video. Ki-chan waves the details aside and orders them to delete all the evidence from their phones. At her convenience store, Young-chul’s mother debates over calling In-ha, but in the end, she pushes her phone aside and hangs her head in shame. Meanwhile, Moo-jin drives Soo-ho to school, and in the backseat, In-ha tells her daughter that it’s okay to skip today. Soo-ho wants to go, and even refuses to leave early to visit Sun-ho since she’ll see him when he wakes up. Flashing back to a happier moment, In-ha’s family watched a soccer game, though Soo-ho peeked at the television from her room because of her jinx. The memory is filled with laughter and contrasts starkly with the gloomy atmosphere surrounding them now. Teacher Lee informs his class about Sun-ho and the ban against all classroom group chats. Before he can continue, Teacher Shin walks in and whispers something in his ear, causing him to step out. A short-haired student, Han Dong-hee, silently gets up from her seat to use the restroom, and Teacher Shin notifies the rest of the class about Sun-ho’s missing cellphone. Dong-hee chases after Teacher Lee to ask if it’s true that Sun-ho tried to kill himself, and Teacher Lee wonders if they were close. She leaves without answering, and after turning the corner, Dong-hee takes out an energy bar and thinks to herself that it can’t be true. The principal and vice-principal meet with In-ha and Moo-jin to talk about Sun-ho’s incident. In-ha wishes to join the detective during the student interviews, but the vice-principal quickly shuts down that idea. He doubts the school has any fault in Sun-ho’s extreme actions, but In-ha refutes his claims, firmly believing that if her son harbored such thoughts, then the problem must be at school. Moo-jin places a hand on In-ha’s back to calm her down, and tells the administrators that as an educator himself, he understands the troubling position they face. Their priority as parents, though, is the recovery of Sun-ho, and all they wish from the school is that the truth be revealed–no more, no less. Soo-ho visits the site where Sun-ho fell, and the ground is still stained red with his blood. She wipes away her tears, but as she turns to leave, the security guard stops to tell her that the area is off limits to students. He asks if she’s Sun-ho’s friend, and Soo-ho introduces herself as his sister. Realizing that he must have been the one who discovered Sun-ho and called the police, Soo-ho thanks him for his actions. She offhandedly comments on how it would have been nice if Sun-ho was found sooner since his condition would have been better if he arrived at the hospital earlier. The guard apologizes, but Soo-ho didn’t mean to sound ungrateful and thanks him again. From a distance, Dong-hee watches the entire exchange. Young-chul’s mother stops by the closed bakery, but when she turns to leave, she stands petrified as In-ha walks towards her. Oblivious to Young-chul’s mother’s stilted speech, In-ha invites her inside to talk. Before Young-chul’s mother confesses, her son sends a text, begging her to keep everything a secret since Sun-ho’s phone is missing. In-ha asks Young-chul’s mother if she could talk to Young-chul about Sun-ho, and she agrees to ask her son. As In-ha gets up to leave, Young-chul’s mother apologizes through her tears, and unaware of the true reason behind her apology, In-ha thanks her for worrying about Sun-ho. At school, the four friends meet outside, and Ki-chan calls out Joon-suk for ignoring them all day. Ki-chan suggests going over what to say during the interview, but Joon-suk wants no part of it. He calls the three of them murderers and threatens to release the video since there’s no proof he was involved. Though Ki-chan argues that Joon-suk was the mastermind behind all of it, Joon-suk dares him to confess to the police then. Sung-jae attempts to act as the peacemaker, reminding them that Sun-ho could have committed suicide for another reason, but Joon-suk firmly says that it’s because of their game. He tells the group to listen carefully since this is solely for their benefit, and gives them instructions for the interview. As directed, Sung-jae tells Detective Park that Sun-ho seemed stress about grades while Young-chul couches every statement with “I’m not sure.” As for Ki-chan, he talks about Sun-ho’s tendencies to overreact and help others needlessly, giving the example of how he always helped outcast student Dong-hee (a.k.a., the ghost). However, when Detective Park asks if this caused any problems, Ki-chan pauses but eventually says that it didn’t. During Joon-suk’s interview, he confesses to having a spat with Sun-ho recently because he confronted Joon-suk in front of the whole class about teasing Young-chul. However, they didn’t fight, though Joon-suk did act a bit gruffly towards Sun-ho out of pettiness. He admits feeling guilty about that, which garners him some sympathy from Detective Park. Calls bombard the school, and the teachers reassure parent after parent that classes will resume tomorrow. A call from Sung-jae’s mom riles Teacher Lee, and his voice rises as he tells her that Sun-ho is Sung-jae’s friend. Teacher Shin pokes him before he blows up, and Teacher Lee returns to his senses. In-ha and Moo-jin visit Sun-ho, and she begs him to wake up. Elsewhere, Jin-pyo meets with the administrators and Teacher Lee to discuss the interview results. The vice principal tells him that stress about grades was mentioned, and Teacher Lee looks annoyed at the implications. Teacher Lee refuses a drink from Jin-pyo since his student is in the hospital, but Jin-pyo calls outer appearances of sympathy easy solutions. He believes true responsibility is about solving the problem. The principal finally speaks up and recommends contacting the Office of Education, but Jin-pyo rejects the idea. Teacher Lee excuses himself from the room as Jin-pyo asks about Sun-ho’s parents. The principal explains how they must be devastated, but Jin-pyo reprimands him for misunderstanding his question. In the hallway, Teacher Lee yanks his tie in frustration, calling the others “garbage.” However, he spots his reflection in a mirror and asks his distorted image how he’s any different from them. In-ha sleeps with Soo-ho for the night, so Moo-jin decides to put away the telescope they never used. As he takes it apart, he remembers Sun-ho during breakfast and breaks down into tears. Moo-jin crouches on the ground and stifles his cries so he won’t wake anyone up. In the bathroom, a girl tells her friend that Soo-ho’s brother committed suicide because of his grades, but the other girl spreads false rumors about Soo-ho’s adulteress dad and psychotic mom. Soo-ho steps out from a stall, having heard everything, and grabs the rumor-spreading girl’s hair. In the teacher’s lounge, Teacher Lee learns that Sun-ho’s case was concluded as a suicide, and he immediately calls Detective Park to ask about it. The detective informs him that it’s true and is actually on his way to meet Sun-ho’s parents. He tells them the same thing, but Moo-jin argues that the police should find out the reason behind the suicide, then. Detective Park mentions severe stress about grades, but Moo-jin objects, listing the reasons why that doesn’t make sense. Detective Park explains that they need evidence to reopen the case, and currently they have none. In-ha asks if they looked at Sun-ho’s call log, but once again, the police need a warrant to get personal data, which requires evidence. In-ha chases after Detective Park wearing mismatched shoes, and he looks irritated by her dogged persistence. Still catching her breath, In-ha tells the detective that she remembered hearing something the day of Sun-ho’s accident. We see the silhouette of a woman in high heels walking alone in the middle of the night, and from her appearance, it seems to be Eun-joo. A male student suddenly falls from the sky and lands a few feet from where she stands. She hesitantly approaches the body but then lets out a scream. The boy on the ground is Joon-suk. An unimaginable tragedy occurs to In-ha and her family, and it’s a harrowing first episode as those who cherished Sun-ho deal with their grief. Issues of school corruption, violence, and suicide have been dealt with numerous times across various mediums, so in terms of plot, A Beautiful World doesn’t feel particularly new or even daring. 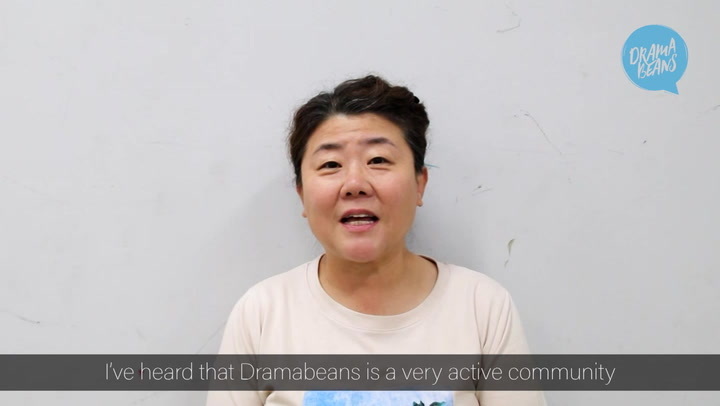 However, the strength of the drama format is time and accessibility. Playing to its strength, the show takes it time delving into the aftermath of Sun-ho’s incident and shows the different reactions of his family members because people, naturally, deal with misfortune in their own way. In-ha openly weeps and begs for Sun-ho’s life, verbally expressing the immeasurable anguish she feels at the sight of her son unconscious and hurt on a hospital bed. As a result, her emotions dictate her actions and fuel her stubbornness to fight for Sun-ho, pushing her to move forward even when all her energy is drained. Unlike mom, Moo-jin’s expressions are much quieter, and it seems to be a response partly developed because of In-ha. He acts as the pillar of the family, standing firm so In-ha can cry on his shoulder, yet when alone, Moo-jin breaks down into silent sobs, unable to suppress his sorrows but unwilling to bother those around him. As for Soo-ho, she rejects the thought of Sun-ho’s death, repeatedly stating her intentions to visit when he wakes up, and after her first heart-wrenching cries, she refuses to let her grief show as if acknowledging the heartache means accepting the worst about her brother. As for the outsiders, connected to the case as perpetrators, bystanders, or mediators, their actions affect Sun-ho and his family no matter how trivial since they build on each other and create a wall that separates the family from the truth little by little. The show introduces the plethora of characters involved, and while we haven’t seen much of them yet, it’s clear that everyone has a role in the tale. The person closest to the “evil” antagonist role is Jin-pyo who already demonstrated his heartlessness from just a few scenes, but Eun-joo, despite her meek outer appearance, could possibly be an even more formidable foe to our protagonists as she desperately tries to protect her son just as much as In-ha does for hers. In the end, everyone seems to be driven by selfishness and a desire for self-preservation as they turn a blind eye towards the injustice and corruption festering inside the school. Even those who should protect and serve are ultimately no different, but the terrifying aspect of these characters is that they have accepted the wrongs of this world as inevitable and hide behind their sympathetic guise to avoid responsibility. For example, take Detective Park. As claimed, he followed the rules, and from the interviews, it seems obvious that Sun-ho committed suicide because of stress over his grades. However, he clearly noticed that something was off about the four students, but he chose to accept their words at face value and didn’t investigate further. He uses the excuse of procedure and rules to justify his actions and shun the truth. While it’s easy to scowl and criticize characters like Jin-pyo who hold such contempt for others, it’s those like the principal that make me squirm in my seat because it feels so real. I don’t doubt his sympathies or his claims to care for children, but in the end, his actions speak louder than his words. He sits at the table with Jin-pyo, and though he grimaces and comments about the plight of the family, he’s still part of the problem. Just as Teacher Lee yelled in frustration, angered by the obvious dishonesty occurring at the school, he understands that he’s no different from those scumbags actively hiding the truth because he, too, is unwilling to face the backlash of stepping out of line. The juxtaposition of guilt from knowing you’re perpetrating evil and fear from the repercussions of sticking out is constantly being explored. Despite it only being one episode, the show is already laying the groundwork for an exploration into society that will be deeply uncomfortable. There’s a lot of subtle details sprinkled throughout the first episode such as the opening sequence of the almost car accident. It serves as a metaphor for what’s to come with the accident up ahead representing the incident with Sun-ho. While Moo-jin gets distracted, unable to see the reality before his eyes, In-ha is the one who warns him and keeps them from crashing and worsening the situation. Likewise, Moo-jin fails to understand the depravity of humans and naively assumes that others will do as they promised for the greater good. However, it’s In-ha who pushes back, seeing the accident up ahead, and she’s the one who shouts for justice from the start. Thus, when Moo-jin finally realizes his mistake, we see him change, not drastically but enough to start feeling frustrated and question those in authority. It’s a gradual shift only signaling the beginning of the battle brewing in the horizon. Though I could be reading too much into things, given the creators’ past credits, I’m sure there’s actually more that I missed and clues that will only make sense in retrospective as the story unfolds. Though the world seems hopeless and the upcoming fight feels onerous, Sun-ho has a family that won’t stop until the truth is revealed, and with a mom like In-ha, a dad like Moo-jin, and sister like Soo-ha (and an aunt like Joon-ha! ), he has some trustworthy allies on his side. This show gave me SKY Castle theme vibes. In the end of the show, (SPOILER) Yeh Suh and her mom had the conflicting decision to either tell on themselves and to prove Woo-joo's (was that his name?) innocence. I think it'll be the same here. It's only the first episode and the emotion is so raw. How could they have done this to this poor, poor boy. And the mom blaming herself, oh my poor, poor heart. I know the upcoming episodes will be so brutal, because it's so harsh for the mom to realize her son went through such pain and injustice when she was not aware of it. A mom wants to shelter her children from evil, and the poor boy seems to be a victim of a huge conspiracy of people. Loved the first episode. I need this kind of melo in my life right now. (why? omg why am i doing this?). I refuse to believe there is no light at the end of the road. Solomon's Perjury feels! Well, the issue/cause of incident is quite different, but both involve irresponsible adults. Just watched ep 2 and I'm loving this so far. Heavy stuff but I can't help but keep watching it. Yep, seo young joo! He's amazing. Oh wow. I totally missed the last part! I thought she saw the actual incident. But it seems to be a dream as the one she saw is JoonSuk and not Sun Ho. Reading the recap made me think, this drama could easily go makjang territory. Which I hope it doesnt. I wish it remains realistic as possible with not many twists and turns. What I hope most is that Sun Ho's family relationship remain beautiful with no underlying issues as rumoured. This show reminds me of SKY Castle and Girls Generation 1979. This drama has set up a new personal record with how fast it hooked me emotionally with its first eps. 10 minutes and I was already crying my heart out. The juxtaposition of Seon-ho's family's ordinary lives (that felt so much like my own ordinary life) and the horrifying incident that happened to him made it really hard to watch. I'm also already in love with the thoughtful and beautiful directing. Those visuals told so much stories: the shattered lives and dreams, the stifling world of Joon-seok's family, the careful foul play surrounding Seon-ho's accident. I got goosebumps when the camera zoomed in to the suddenly barefoot Seon-ho. This is middle school kids we are watching, and they are already capable of covering up crimes in the middle of what should have been a terrifying and shocking incident. To place Seon-ho's shoes on the brink of school rooftoop showed just how callous they could be. And if the culprit is really one of the students, I shuddered to imagine what kind of adult they would make with this kind of mindset. What also caught my attention in this first eps is how the drama urged us to listen to what people aren't saying. This motive is played in several scenes with many different characters. Soo-ho's insistence to see her oppa when he wakes up in contrast to her mom's flashback about her particular "jinx". The bespectacled mom who kept crying and saying sorry in light of what she knew about Seon-ho's bullying. The bullies who insisted to themselves that it was all "just a prank, a joke". The quiet girl who chickened out in front of her homeroom teacher. The detective who told Seon-ho's parents about grade pressure speculation and looked unapprovingly when they insisted about the possibility of school bullying. The directing is absolutely gorgeous! There is such an attention to detail that causes me not to want to miss anything. Like you said there is so much expressed with what people aren't saying. The actors' facial and body expressions convey so much emotion, yet can be misinterpreted if you don't have the whole picture. This show had me crying from the get-go and I expect to do a lot more crying throughout the series. This drama is doing everything right yet I don't feel the urge to continue. Maybe it's the timing - I am just so tired of characters like the Jin Pyo, the vice-principal and the detective because they remind me of the scandals happening in South Korea now. I can imagine what's going on in the schools. Acting is top notch. Park Hee Soon looks familiar but he's more of an movie actor, i love his restrained style. I'm more used to goofy Oh Man Seok but I like his understated menacing manner here. Nam Da Reum never disappoints, in such short scenes he already conveyed that tinge of sadness beneath the perfect son persona. Just as impressive is the sister, she has been good in everything I've seen of her. Surprising me was the boy who plays Joon Suk - he switches from angel to devil at the drop of a hat. I... wasn't hooked. Its such a shame, but I found the direction distracting and the way sound was layered with music kind of annoying? I think I'll still watch it, because Kim Kwan-hee broke my heart when she cried, and that's a testiment to what an amazing little actress she is. What price the life of a child, in a dog-eat-dog world. Not enough to buy sincere respect and grief for the family, or when balanced against the reputation of a school or the grades of his fellow school mates. - as parents - what do we really know of our children. Do we recognise their calls for help? How much do we prioritise their grades? - as people who can also easily consider the misfortune of others as fodder for gossip and entertainment? - as people in authority who take the most obvious and easy way, on the right side of the rules, without doing due diligence? The comment on the OT about a different style of videography made me watch this show. It's true that it has an interesting way of suddenly zooming out from characters who are conversing, to give us a blurry frame through which to see just one or the other character, and then to zoom back in again. Or gives a few seconds shot from too high or too low or some strange angle. I'm not sure how to interpret that except to guess maybe it's to show the way characters distance themselves from the truth, or that they have something to hide. Most of the scenes of sincere grief are shown close up with other scenes with cloudy foregrounds or strange framing and shaky camera views. Oh Hin Pyo was even for a couple of seconds with double reflection ... two faced? As if the theme isn't disturbing enough, show is keeping us off kilter and uneasy like the protagonists. "...the camera pans down Sun-ho and reveals his missing shoes, though he was wearing them before." Question: Do ppl in Korea take off their shoes before committing suicide? Is this just common knowledge? @luckduc, from the K shows I've watched, it does seem that many times (although not always), those who jump off buildings, off bridges (or off a boat) to die, do leave their shoes behind. I used to think it was because they had to climb up using narrow ledges or stand on a ledge or something which made shoes like high heels inappropriate to climb in. However later on I noticed that even men left shoes behind sometimes. Here's something that popped up when I googled. It's not just a Korean thing!!! I don't think it's conclusive but possible. @growing beautifully Got it. Thanks for answering my question! Thank you @lovepark for the recap. Episodes 1 and 2 are now fully subbed on Viki and I watched episode 1 tonight. Emotionally that was enough. Like @katakwasabi at the end of the episode I thought we saw the actual incident again but this time with the addition of the woman in black (as a cliffhanger.) This is why I find early episode recaps so valuable. I miss important things. The story and characters are just being presented and there seem to be the usual types but I think we have to wait and see how things develop. If I have one early gripe it has to do with the police investigation. Detective Park’s investigation seemed rather perfunctory to me. On the style of the drama, it is different. The Director and Writer seem to be a team and if I am right this is their 8th drama together. I have not seen their previous work. The camera angles and all that are rather artsy and that is fine. I hope it will not be distracting. I did like the use of the moon.